My name is Greg Prescott and I am the Store Operations Manager here at your Co-Op. I want to take some time to talk with you about an issue that has been gathering a lot of attention in our collective conscious— an issue that is finally turning the momentum of change. I would like to talk about plastics; most specifically plastic straws, compostable packaging and where our Co-Op is right now pertaining to this discussion. 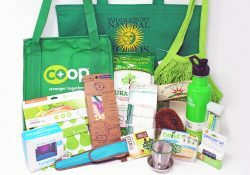 As a member of the Co-Op community and the broader global community, I endeavor to find the best possible solutions for our planet. I have a one-year-old son who depends on this commitment so that he and all future generations can thrive and further the stewardship of our planet’s health. 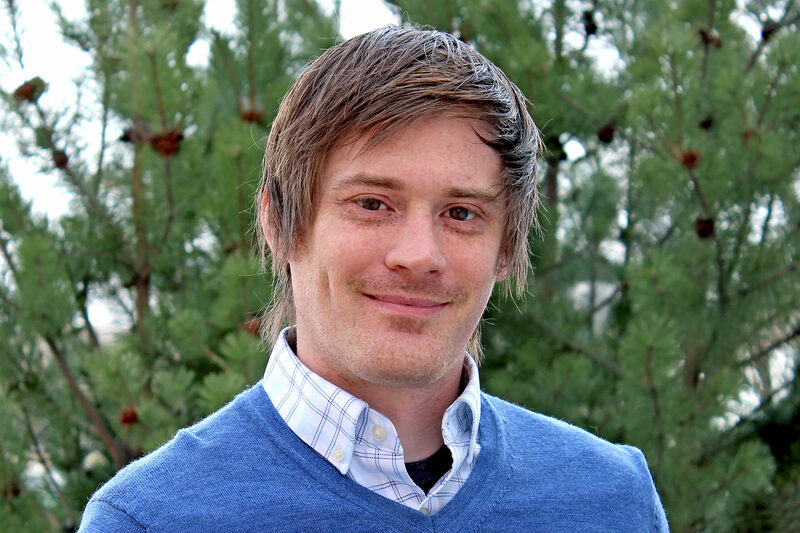 As a father and the operations manager of the Co-Op, I am balancing between my strong desire for our Co-Op to be a pioneer in establishing positive changes toward a healthier environment and what is logical with our current systems. I hope through addressing some specific customer concerns, I can convey the complexities which may make progress come more slowly than we all would like; and further, how exactly we are trying to do the right thing. Two recent and pertinent comments that speak to our use of plastics are: “Please replace (y)our straws with compostable” and “I love that you are carrying fresh Faroe Island Salmon, but the plastic packaging seems excessive and bad for the ocean”. Addressing these specific examples may help to illustrate our thinking and what we are currently working through and towards. Replacing our plastic straws with compostable straws should be easy. Unfortunately, our decision not to make the switch at this moment is because we do not have access to an adequate high-heat composting facility needed— the straws would go to a landfill in exactly the same way as our current plastic straws. 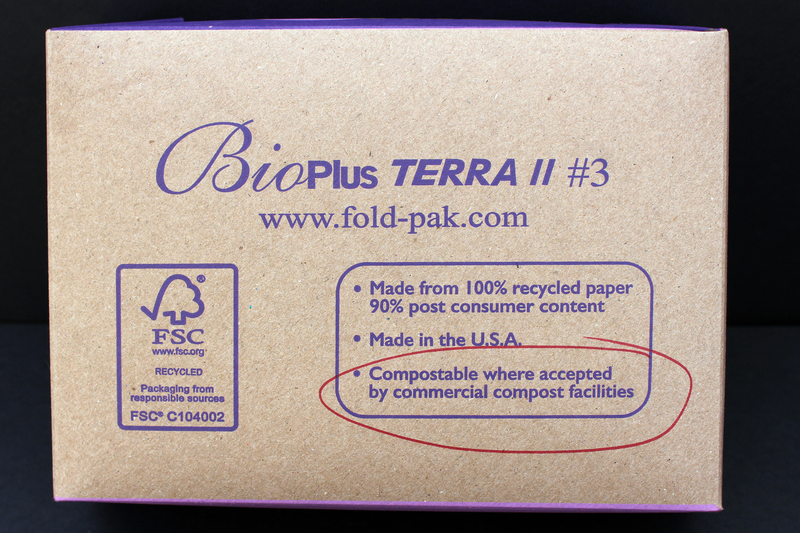 Compostable straws (along with many other types of compostable packaging) will only break down and compost in specialized high-heat composting facilities. 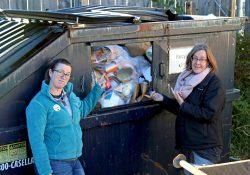 Right now, the infrastructure of Vermont’s waste management system is unable to support mass quantities of compostable packaging, not enough high heat facilities exist. We finally have access to compostable packaging and single-use items (straws, cups, “Styrofoam” trays, cutlery) but we do not have the technology in place to take advantage of this amazing advancement. It is going to take time for our infrastructure to catch up to our needs as environmentally conscious consumers. Currently, we are working with Casella’s Waste Systems. For years Casella’s has handled our trash and single stream recycling program. Recently Casella’s has begun to help with our composting needs. Every Wednesday Casella’s will pick up our compost and bring it locally to Foster Brothers where it is dropped off to decompose and become, well, compost. Foster Brothers is not a high-temperature composting facility, therefore products such as compostable straws will never reach the required temperature to properly break down. This is where we are currently— we are absolutely still searching for other options and hope to soon find a solution to our lack of in-state high-temp composting resources. So, what can we do as consumers? Well, the best practice of all is to personally invest in a reusable straw. By doing so you are removing as many straws out of the collective waste stream as you have beverages that require straws. What can the Co-Op do? We are working with our supplier to source paper straws. Paper straws are biodegradable and break down quickly, eliminating the long-term/forever effects of plastics. However, paper straws can break down quickly in beverages. This means paper straws are not everybody’s favorite. We have been product testing straws and while they hold up well enough in liquids such as iced coffee, they don’t last very long in our smoothies. Therefore, when we are prepared to offer paper straws, we will still have plastic straws available upon request. Additionally, there are some customers who may absolutely need a plastic straw, so it becomes imperative to keep them available. (please read this article from NPR, I found it to be very eye-opening). Moving on to the second pertinent comment regarding our seafood packaging: “I love that you carry fresh Faroe Island Salmon, but the plastic packaging seems excessive and bad for the ocean”. With our expansion, we have recently been able to carry fresh seafood. We were looking for an alternative to the traditional Styrofoam trays and plastic wrap for seafood packaging, which are a threat to our planetary health, and discovered a particular plastic container, that while not our ideal or long-term answer, is recyclable. As of now, anyone with access to single-stream recycling can recycle these containers. I say “as of now” because of the developing issue with China refusing to accept our recycling waste (you can find many articles about this, including this one from NPR). Although this isn’t the best option overall for packaging, it is the best option we currently have. In closing, I want to stress that although in the immediate future, we are unable to provide an all-encompassing packaging switch, we are actively engaged with our most heartfelt desire to take responsible action for the sake of our environment through overcoming the aforementioned logistical roadblocks. We are working hard with our suppliers and our partners to find better, truly sustainable options and will do our best to embrace them and construct ways that our Co-Op can integrate them into the community. Until then, please keep pushing us to do better. Please know that we want to do better. And please bless us with your patience as we try to solve these problems in the most responsible and thoughtful way. Thank you very much for allowing me your time. Great job Greg! I’ve been wondering about COOP progress on plastics, and this post is very informative, as usual revealing the complexities once one digs below the surface and superficial. Thanks for taking this on, and good luck with Casellas. Is this a moment to pull all VT food coops into the effort to insure Casellas the volume it would need to invest in hot composting? I am dating myself here, but when I was growing up, straws were paper. What happened to that, besidesthe plastic lobby? Hi Greg, thank you for addressing this issue. “I am dating myself here, but when I was growing up, straws were paper. What happened to that, besides the plastic lobby? I don’t know if big plastic has anything to do with our collective straw preference. My working theory is that our dependence on straws is a byproduct of our “go-go-go” culture and our need for the upmost convenience, that perhaps big plastic capitalized on. We are looking to source paper straws as a plastic alternative. Unfortunately, our provider of supplies is out of stock until October. We could buy paper straws sooner from a website such as Amazon, however the amount of straws that we would need to purchase would not be cost effective. When we can stock and offer paper straws I’ll do my best to make sure everyone knows! I must mention though, even though we will carry paper straws, we will continue to offer plastic straws. I mentioned this in the blog post and I do not want to give any false impressions or promises. “Hi Greg, thank you for addressing this issue. 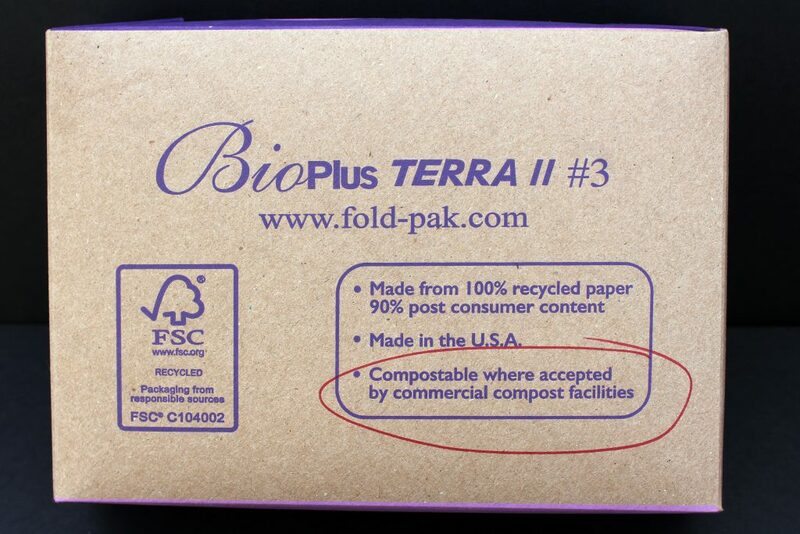 You are absolutely right, it is confusing when something claims to be compostable. Right now, we are working closely with Casella’s and Foster Brothers (our compost service providers) to determine which packaging their facilities can compost. They have run tests with our cups and napkins and several other packaging items we use in our store. 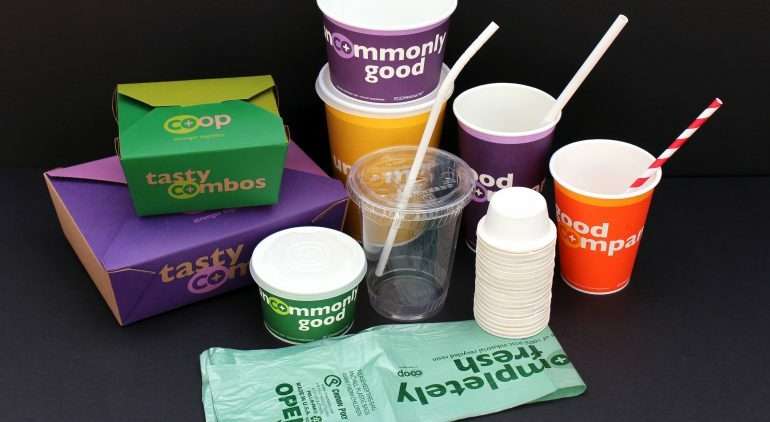 Many of these products seem to be able to be composted—BUT we can’t be sure yet if Foster Brothers will be able to handle the volume of these items our customers produce on a single day. We are planning to pilot a packaging compost program by collecting these items from staff and composting what packaging waste we create in-house. This will provide Foster Brothers with real life experience and a better understanding as to what they can realistically accept from our customers. Until then, please use the Food Scrap Bins for food scraps. When we are able to accept more, we will do our best to label everything properly and minimize confusion. You don’t need a straw! If you do feel you do need a straw and can’t sip a smoothie (grab a napkin) then buy the reusable straw. We can change our habits. Thanks for addressing this issue! Thank you for commenting. While I agree that it is hard to imagine that a person may need a straw (let alone a plastic straw), it is actually an accommodation to consider. While I agree with your sentiment that any drink, even a smoothie can be sipped or simply purchasing a reusable straw is an easy solution. However as a Co-Op serving our community we need to consider all of our community members needs. 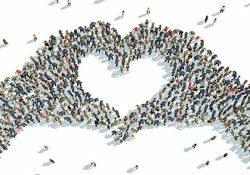 So while this is a small portion of our community, our goal is to welcome everyone. We are working hard with our suppliers to source paper straws and make the plastic straw our exception. We sell reusable straws and encourage their use. We are trying to change and I acknowledge that change is coming slow, but we want to get there, we are working to get there and thank you and everyone else for holding us to task and being the voice of change.